This year, I decided that my New Year was going to start in February, and not a month earlier with the rest of the Western World. No, I’m not Chinese and no, I haven’t changed my belief system. I just wanted to do the New Year, new start, new self, new words thing by stealth. No shouting about my resolutions at the beginning of January and not remembering what they were at the end of the month, like the innocent newbie-me of past years. This year, I’m doing things gradually, at my speed and not everyone else’s: easing myself into the year, decluttering a bit, getting myself organised, looking over old writing and gearing up with some new. 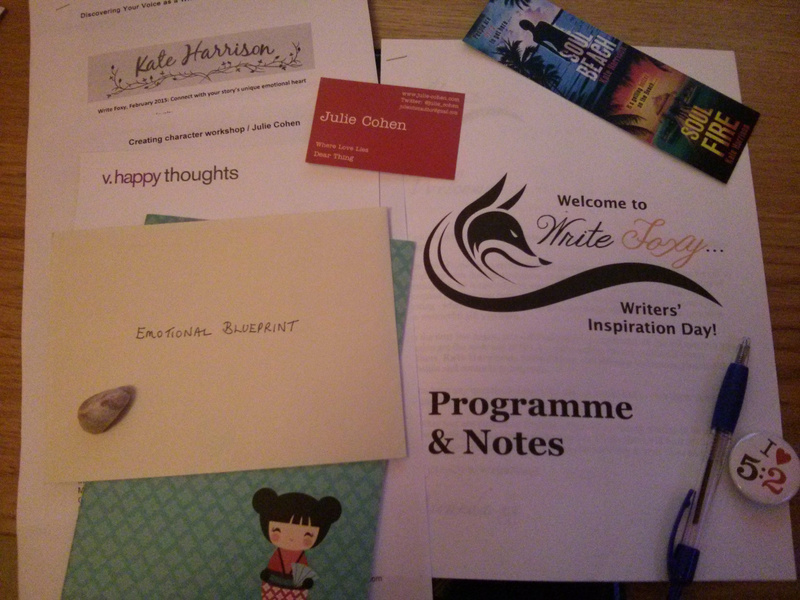 Which is why, when I saw a Writers’ Inspiration Day advertised and saw that it was being held only two hours away in Dudley on February 8th, I scrabbled the money together and booked it. It was, after all, taking place in my New Year and coming along at precisely the right time for me. And let’s face it, how often do courses do that? 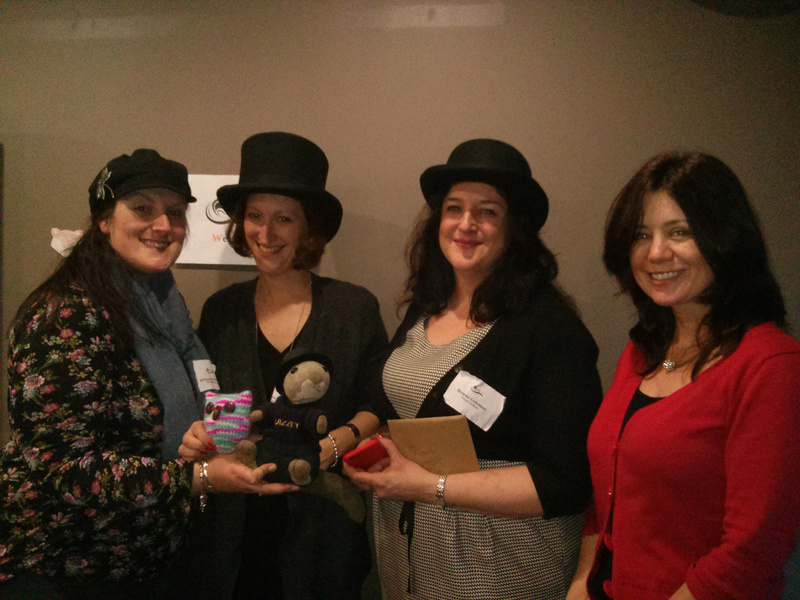 Plus, it was being organised by lovely author and twitter pal, Miranda Dickinson. Squizzey came along with me but he’s only really there for the adoration he gets at these things, so happily, a writer buddy of mine had also booked. We drove up to Dudley together, which took my mind off the thick fog on the A449 & M5 and, after a cheeky chocolate croissant in the car, we headed in to meet everyone over coffee. One of the great things about the day was meeting other writers and getting to chat with them and share what we were working on or just talk more generally about writing, books or life. Miranda welcomed us to the Day, and explained that it was designed to encourage us and to inspire us and to put us back in touch with our writing, and why we do it. There was a Writers’ Den if we wanted to simply use the time for writing and while a couple of people did use this throughout the day, the sessions were so great that I didn’t want to miss a minute of those. I figured I would write when I got home. First up was Julie Cohen, bestselling author of Dear Thing, which I finished reading yesterday and is REALLY GOOD. 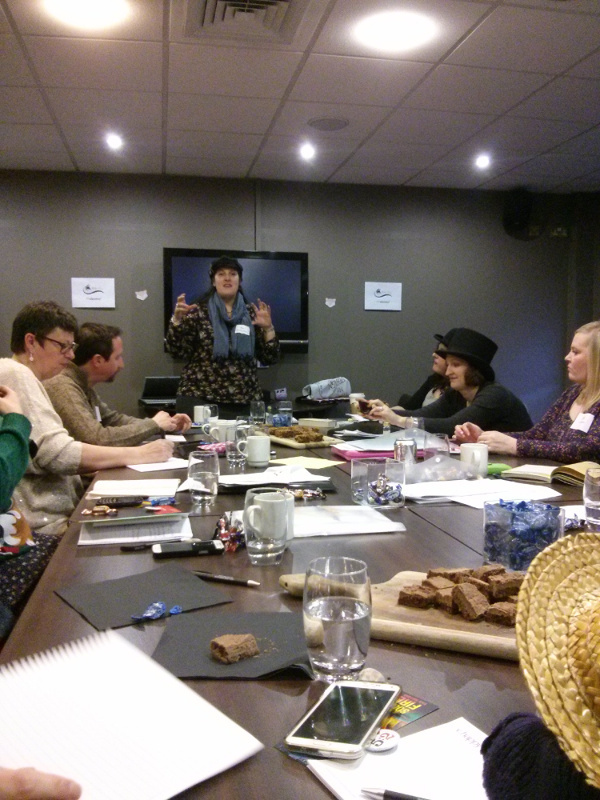 Julie ran a workshop on creating character and had us working hard from the start. Within 10 minutes, we each had a character and were beginning to put them through it. Mine was 16-year-old Wilma Quick, who is still chomping her apple loudly in my ear and waiting for me to write her something else to do! A quick break to refuel on coffee and a pastry and we rushed back in to find a tranquil haven of candles, pebbles and sea shells. It was time for Kate Harrison’s session on how to connect with your story’s emotional heart. Kate’s the bestselling author of The Secret Shopper series, Soul Beach, The 5:2 Diet and A Batch Made in Heaven. Her session was incredibly restful but also really instructive. By the end of it, we had our emotional blueprints and renewed confidence in our book. All too soon, it was time for lunch and plenty of it. There’s no chance of there being any starving artists on a #WriteFoxy Day! From chocolates and brownies on the table to pastries and fruit at coffee breaks and a great spread of salads and hot food at lunchtime, our bodies were filled and fuelled every bit as much as our imaginations were during the sessions. After lunch, Rowan Coleman was up. Rowan is the bestselling author of Dearest Rose and Richard & Judy pick and Lovereading’s Book of 2014, The Memory Book. Rowan’s session was on Discovering Your Voice as a Writer, a really hard thing to pin down and I think she did a stellar job of helping us to grasp what ours is, and keep tabs on it. Last but by no means least was Miranda Dickinson’s session on Writing Against the Odds or What holds you back as a writer? This was a really warm, confidence-boosting session, just as all the others before it had been. All four authors shared their stories about their struggles or setbacks they’d encountered throughout the day and they were generous with their anecdotes and confessions here too. Striking our Superhero poses ended the day on a fun and positive note, and sent us away feeling fired up and raring to go. Which is exactly what I’d hoped to get from it. Thanks to Miranda, Julie, Kate and Rowan for being so warm and welcoming, encouraging and generous with their time and experience, and to everyone I met on that day for sharing their stories. Until the next time, #WriteFoxy! Great post, Kath, where you’ve captured the essence of the day perfectly. I agree that it was an inspirational experience and it was lovely to put faces to names. Thanks for your company and being the driver! Thanks, Jan, for both your company on the day and dropping by to comment. I hope you’re writing Foxy this week!